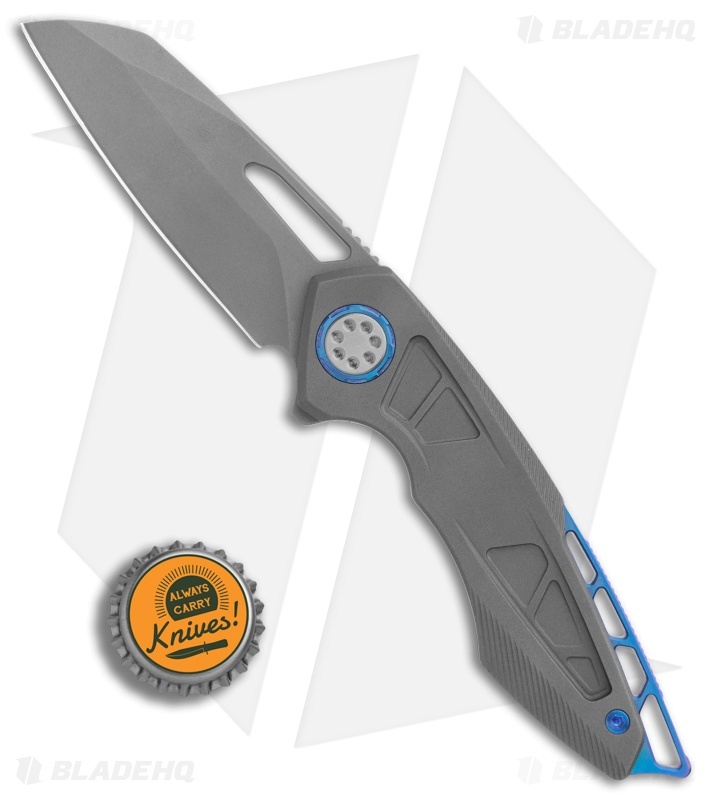 This Neptune model has a bead blasted titanium handle with blue anodized hardware. Its blade is made from bead blasted CPM-154 stainless steel. 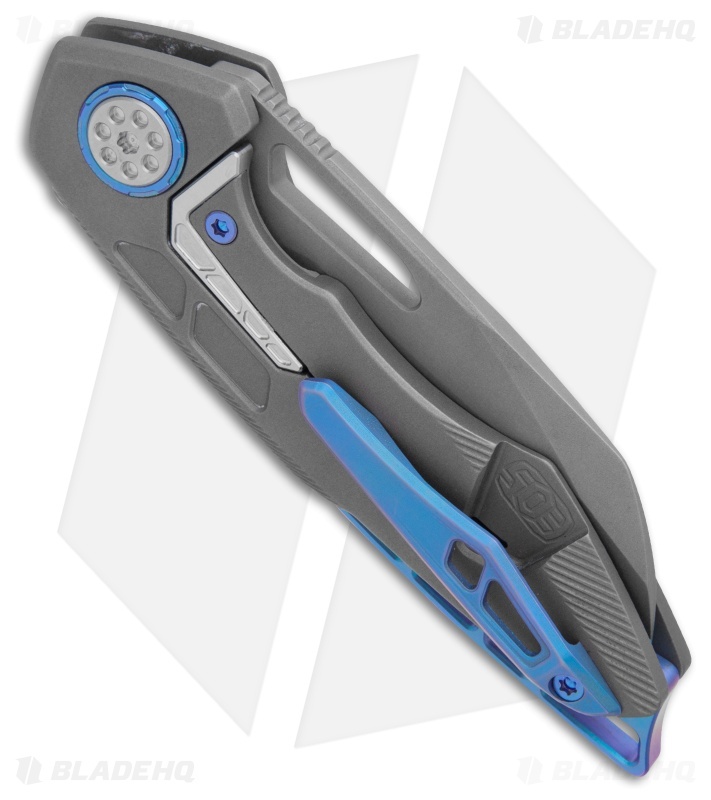 The EOS Neptune is a stylish flipper knife with excellent ergos and a mean sheepsfoot style blade. Its titanium frame lock handle is contoured for grip security, and fits perfectly in the hand. 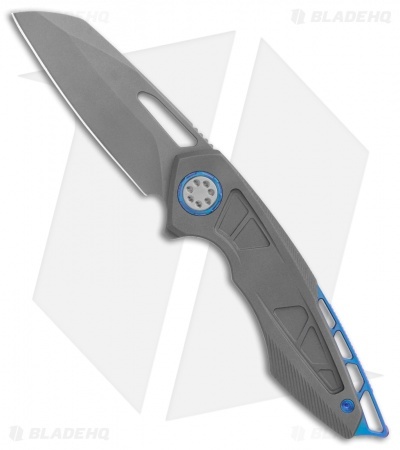 Pivot collar accents and an extended titanium backspacer offer visual interest and added utility. 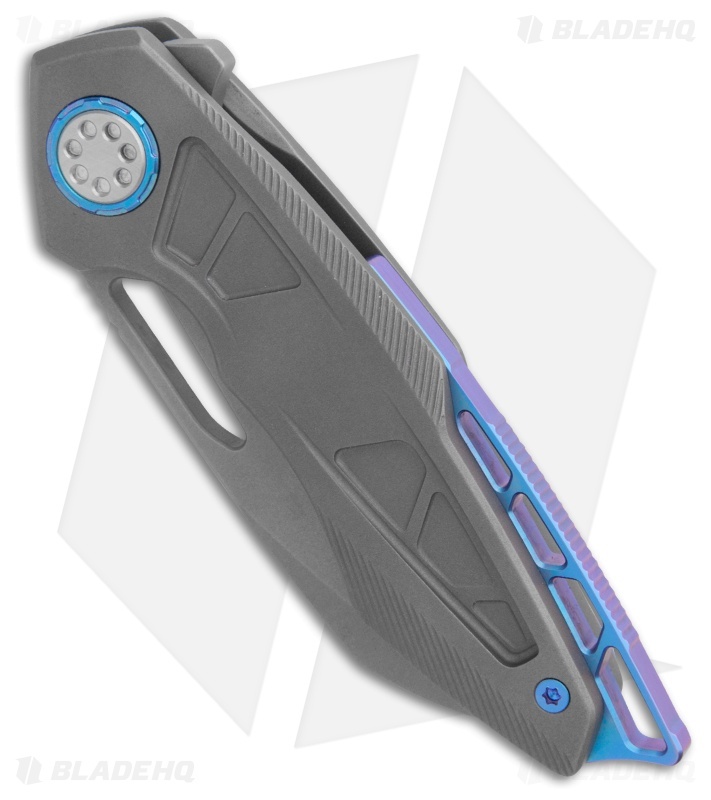 The Neptune is equipped with a machined titanium pocket clip for secure everyday carry. Subtle flipper tab and elongated thumb opener allow easy one-handed operation. Extended titanium backspacer for striking applications or lanyard attachment. Durable titanium frame lock construction and steel lockbar insert ensures solid lockup.